Leinster Timber Frame’s team of experts have established themselves as key players in timber frame construction for more than a decade. 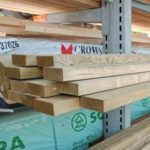 We specialise in providing quality timber frame buildings with primary focus on aesthetics, state of the art construction and the use of superior production techniques. As a family run business, our success lies in the acute attention to detail and the ability to provide you the customer with an affordable, quality built home. Leinster Timber Frame caters for energy efficient, quality approved construction of One-off homes, Hotels, Nursing Homes, Retirement villages, Club Houses, Holiday homes and many more. Why a Timber Frame Home? Over a quarter of Irish homes are now built using Timber Frames. Building your home with Leinster Timber Frame offers some very clear benefits. Speed – Buying a Leinster Timber Frame superstructure ensures a high level of technology and rapid prefabrication in our factory. This enables faster on site construction and ensures your home is completed in weeks, instead of months. Energy efficient – A timber frame home will typically save up to 40% on heating costs and out-perform the requirements of current thermal building regulations. Heat emissions are lower and the reduction of CO2 emissions help improve our environment. Quality – Leinster Timber Frame materials and craftsmanship are subject to strict control in our manufacturing plant, and offer various advantages in quality and finish. Budget – Our homes are built to a fixed cost, and a fixed completion date. With Leinster Timber Frame, your home can be ready for occupation much faster, giving substantial savings in rent / mortgage, or a fast turnaround to release income from your project. In our manufacturing plant in Blueball, Co. Offaly your home is created in a state of the art factory controlled climate. Along with traditional methods, we can also offer closed wall technology which enables us to deliver fully sealed and insulated wall and floor sections to your site. A clear advantage offered by Leinster Timber Frame is that our structures are erected by our own team of skilled fitters ensuring that the high manufacturing standard is maintained on the construction site. Only high quality European timbers from sustainable resources are used in our structures. All Leinster Timber Frame’s structural framing [timber, engineered timber and sheathing material] is comprised of appropriate grade, strength class and moisture content as required to comply with building regulations and Homebond best practices. Typical treatment of external studs, heads and sole binders for external wall framework shall be double vacuum pressure treated, with a water based repellent fungicidal and insecticide wood preservative.